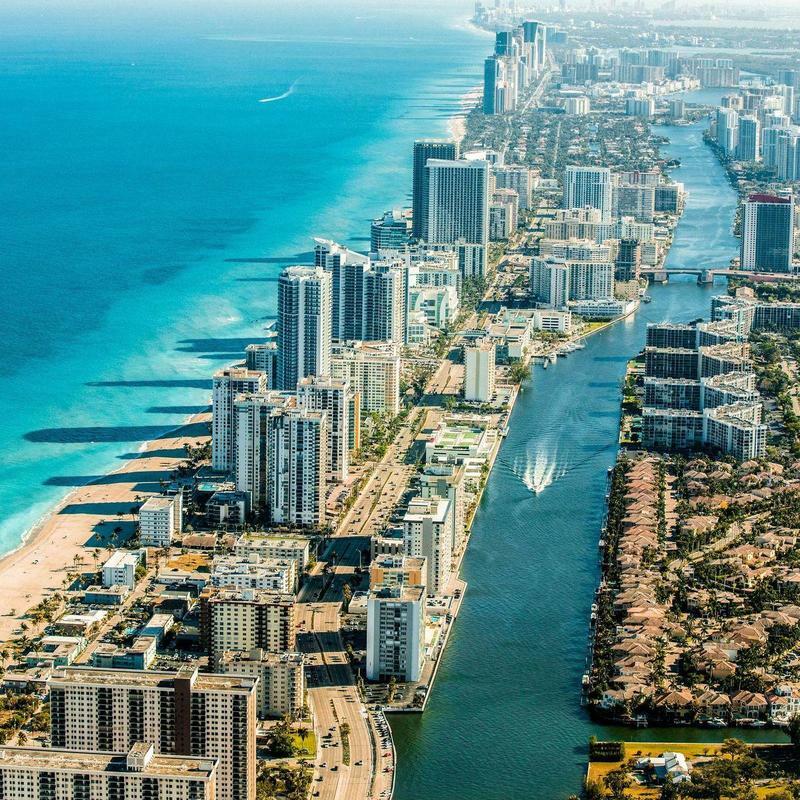 Miami, Florida. Steps away from Key West, Fort Lauderdale, and West Palm Beach. Work on your tan. Kick up some sand. Absorb the hot Florida sun at its finest. But Miami is more than one long beach party. It’s a thriving cultural metropolis, a basketball lover’s dream, and a musical paradise. Field trip, bachelorette party, or a big game – our booking specialists will help you organize ground travel for any event. Charter a Miami bus rental with our online booking tool. It’s easy, cost-effective, and way more efficient than calling every Florida bus company to find the best price. What determines the price of a Miami charter bus rental? To make sure you're getting the best price for your Miami bus trip, we work with bus rental companies to get preferred pricing. When we determine the price of your charter bus, we consider the driver's time, the total mileage, the time of year, the departure date, and the availability of buses in Florida. Where do you get your Miami buses from? Our network of buses is spread out across North America. We match you with a bus rental company that can best accommodate your trip's needs and is closest to your departure point. No matter which bus operator you get, you can be sure that our staff has vetted them to ensure they comply with our strict requirements. How do I rent a bus in Miami with a driver? All Miami bus rentals come with a driver. The quote you'll receive from our online booking tool includes that driver's time, gratuity that conforms with current industry standards, and any hotel accommodations your driver will need during the trip. What kind of bus rentals can I book in Miami? Whether you want the simple nostalgic vibe of a school bus or minibus or the comfort and convenience of a fully equiped coach bus or mini coach bus, we can match you with the perfect bus for your trip. How soon do I have to book my charter bus rental in Miami? Take advantage of our Book Now, Pay Later policy to reserve your Miami bus rental ASAP then hold off on paying until 21 days before you board the bus. The closer you get to your departure date, the fewer buses will be available to choose from.